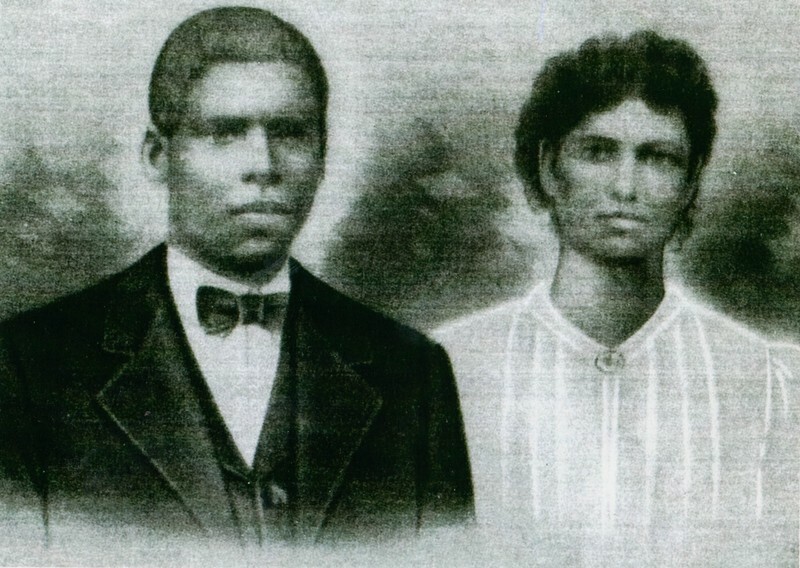 In 1852, John Robinson arrived in Central Texas, from Demopolis, Alabama, with his family and six slaves, founding what would soon become known as Robinsonville. Two years later, his brother Levi joined him, bringing his own family and an additional four slaves. 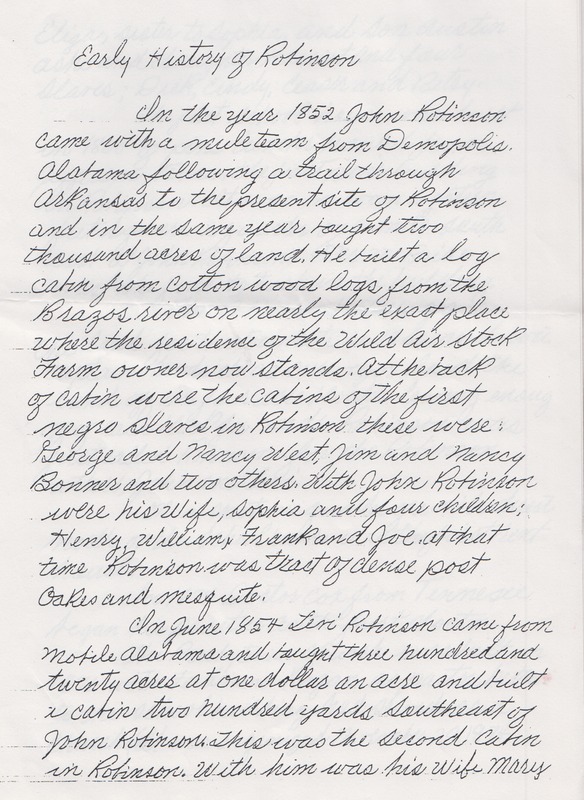 Among Levi’s slaves was a man named (Jim) Orand Bonner. According to family lore, Levi sent Orand and several other men to a Mill in Jefferson County to pick up lumber. While at the Mill, Orand met a slave woman named Millie Stewart. The two married and Millie became the nanny for the Robinson family. Millie had three children from a previous marriage, and would have several more children with Orand. In 1860, the Robinsons hired a tutor for their children. Since Millie was their nanny, her children were allowed to learn some limited lessons from the tutor as well. 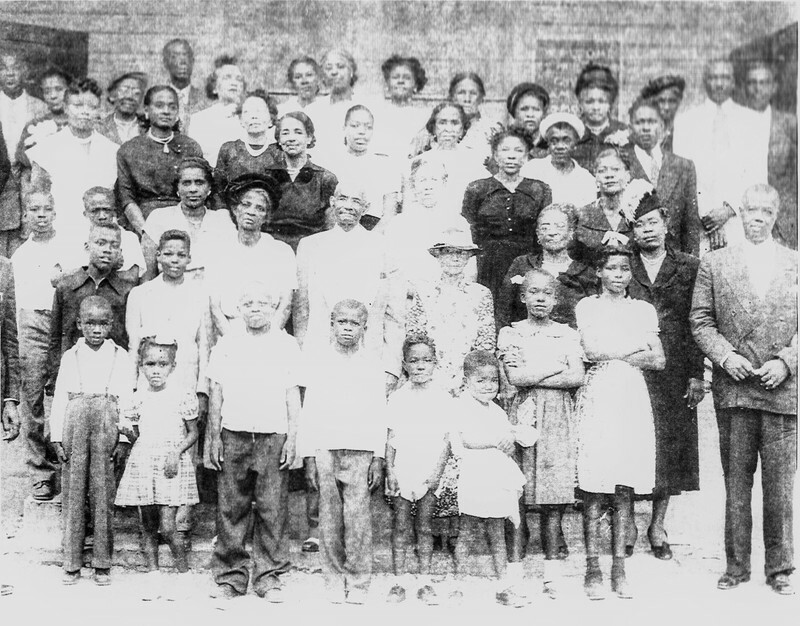 After emancipation, the black community in Robinsonville grew quickly. Millie remained close with the Robinson family and with the children whom she had nursed and helped raise. 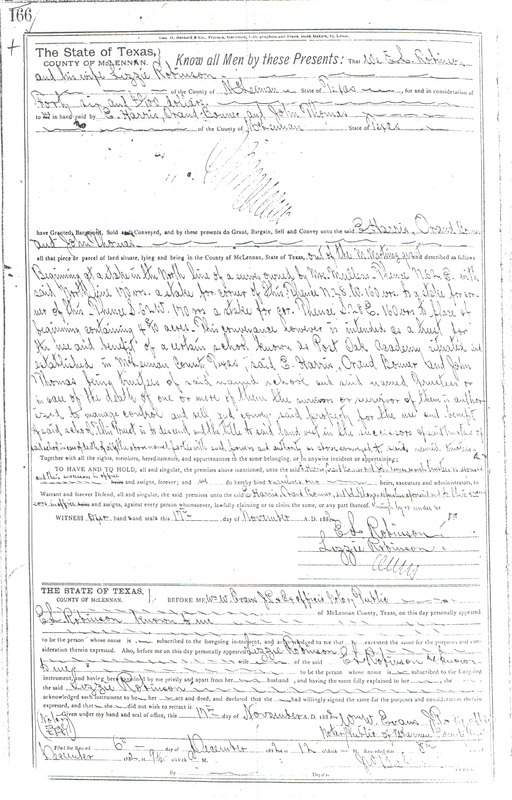 In 1881, John Robinson’s son, Edward L. Robinson, gave just under 5 acres of land to Millie, with the stipulation that the land be used for educational purposes. Millie’s husband and two other men signed for the property. The community decided not only to build a school, but also a church on the plot of land. 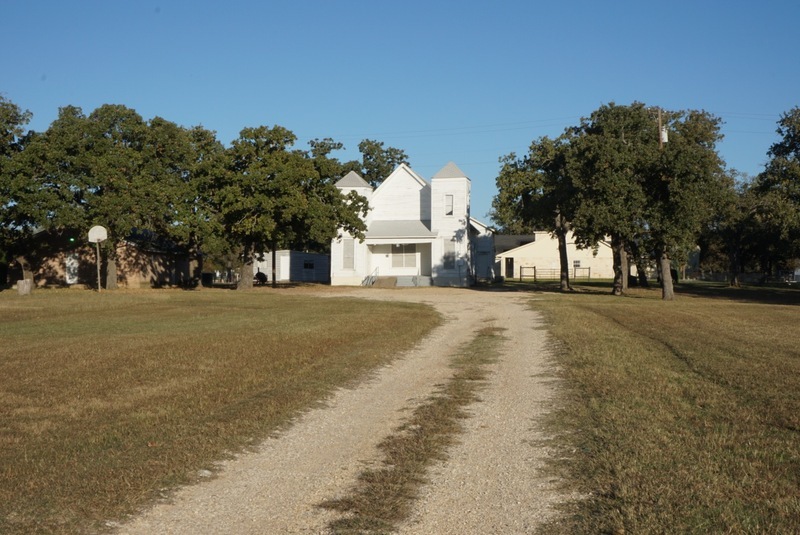 In 1882 members of the community completed St. Paul Missionary Baptist Church and the Post Oak Academy. In April of that year St. Paul held its first services under the leadership of E. H. Harris, the first pastor of the church, and an original trustee of the school. The school and the church were closely connected. Most of the families of the area attended the church and sent their children to the school. C.H. Dorsey was one of the early headmasters of the Post Oak Academy. Dorsey also organized the church choir and served as a Church Trustee and Sunday School Superintendent. Children could stay after school on Friday afternoons for choir practice in order to perform on Sunday mornings. The school had two rooms, two teachers, and taught up to a seventh grade level. Some children continued their education at A.J. Moore High School in Waco. A block over from the church, a cemetery provided a final resting place for the community. People buried there include men and women born in slavery, as well as veterans of World War I and II and several other wars. 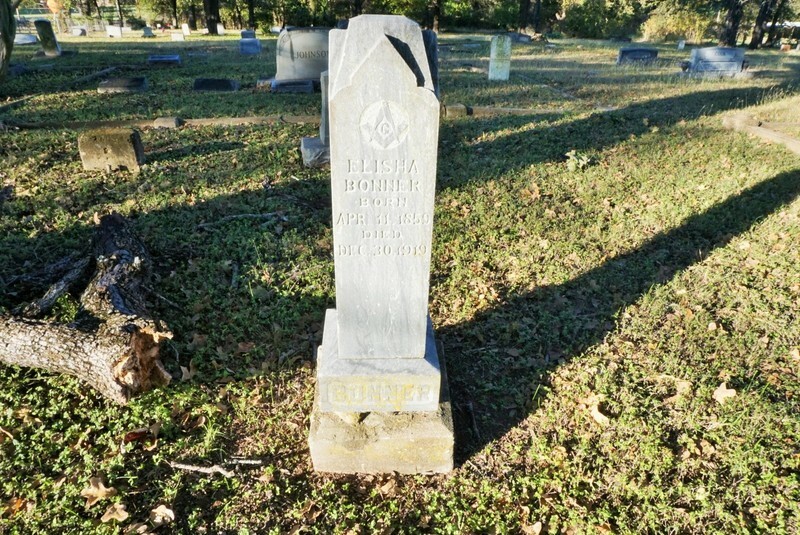 There is a mix of beautifully crafted headstones, hand carved memorials, and various other markers. Today, descendants of the black community continue to bury loved ones in this local cemetery. Over time, the demographic of the area changed, as many Americans gradually moved out of the area. The school was destroyed by fire in the 1920s when it was struck by lightning, and was never rebuilt. Even the town itself changed, from Robinsonville to Robinson in 1955. 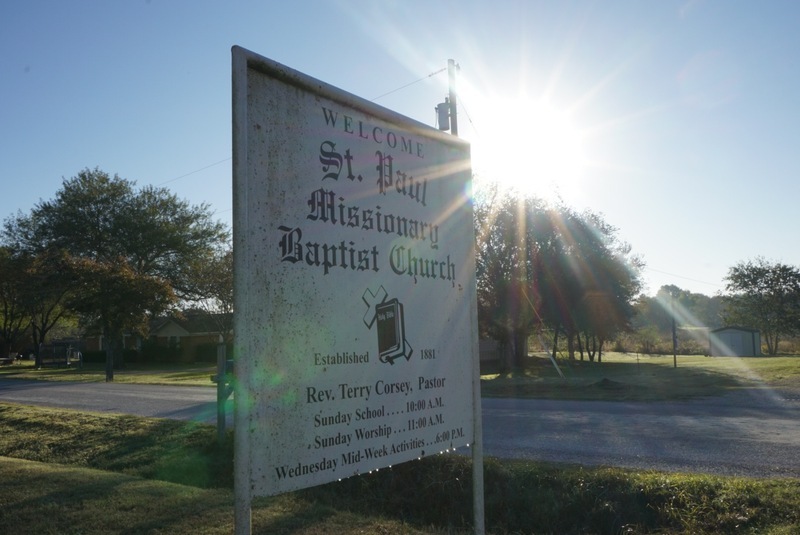 However, St. Paul Missionary Baptist Church is still in existence today and descendants of Millie Bonner and other original families continue to attend. The congregation gathers each Sunday to worship and serve the community, just as the church was commissioned to do over 130 years ago. 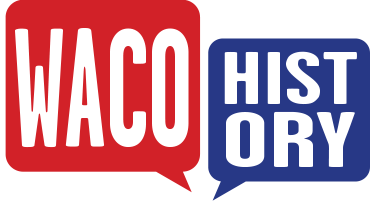 Stephanie Endicott, “African American Community of Robinsonville,” Waco History, accessed April 18, 2019, https://wacohistory.org/items/show/162.